Copywriting Archives - Medical Marketing Enterprises, L.L.C. February 12, 2019 by Randall Wong, M.D. As healthcare providers, we provide value to our patients all the time. Every time we make a diagnosis and a treatment plan, we provide tremendous value to our "consumers" and to our community. 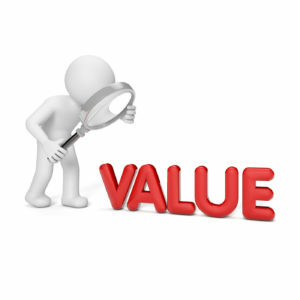 Providing value on the Internet, however, seems to be less obvious to us. Perhaps it's because we do not really understand what's valuable. Here's why value is integral to any marketing strategy and some very easy ways to gauge if our content has value. Build Trust - the only way a patient is going to call and make an appointment is after you have become trusted. Every time a new patients says "I've done my research," they are saying they've vetted you and trust you. No one makes an appointment solely because your website was at the top of a Google search. You have to be on the top and then also develop trust. Engage - valuable articles/content are interesting to the reader. Ergo, your content makes your article/website/SM platform more engaging. Engaging platforms encourage additional reading/learning and build trust very quickly. SEO - content which is shareable (links back to your site) give a quick boost to SEO. Here's a quick list of questions you might ask about your content. Does it educate? This is really easy. Educational content is easy for health providers to create. We educate all day and to every patient. Using some of these well rehearsed and frequent topics easily provides value to our readers. Is it shareable? Would one of your readers consider sharing your content with someone else? Might they tweet or post on their own page? Shareable means valuable. Can it be fact checked? Most of this is easy for healthcare. Everything we do is based on fact (evidence based medicine) and, therefore, can be easily fact checked. As subject matter experts (authorities), we provide tremendous value to our prospective patients. Is this interesting? Your content may not be interesting to everyone, but it will sure appeal to those interested in that particular subject. As long as your article/content is interesting to a percentage of your patient population, it's interesting. Does it solve a problem or answer a question? If your content directly answers a question someone is "Googling," then it's relevant and of value. You must answer "yes" to only one of these questions. It's easy...and valuable. October 26, 2017 by Randall Wong, M.D. Share your knowledge on other websites. This can result in increased website traffic to your own site and improve your SEO. By contributing content to other websites, you expose yourself to a new and different audience and get better website rankings. Quality backlinks can significantly improve your SEO. This is a database where JOURNALISTS find reliable SOURCES when researching an article or story. Journalists post queries looking for expert SOURCES who belong to the site. Health providers (you) function as a SOURCE. HARO sends out 3 daily emails of journalists looking for Sources. If interested, you will respond via email, thus connecting you with the journalist. Usually a short interview is conducted via email or phone. If your content is used in the final story, your contribution should be cited. You gain exposure to a new audience. 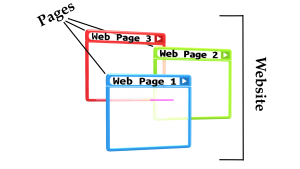 Ideally, you will also get a link to your website. The HARO website is www.HelpAReporter.com. 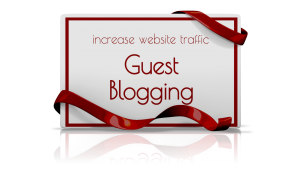 As a “guest” you will write an article for someone else’s website. Ideally, you will write an article on a related website, i.e. health related website, on a topic of which you are an authority. The article will be written exactly as if you were writing on your own site, but with the exception it will be published on a foreign website. In return for creating content for the host, you, the guest, should insert 2-3 hyperlinks (backlinks) to your own site. Again, this gives you exposure to a new community AND, through backlinks, improves your SEO. There are many forums, chat rooms and bulletin boards where patients share information about health concerns or ailments they have in common. 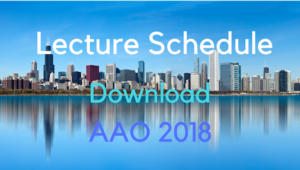 As a healthcare authority, you may choose to join in their conversations to educate this community to share your knowledge and educate this new audience. As with the other examples, this will expose you to a new community and give you the opportunity to build backlinks. August 24, 2017 by Randall Wong, M.D. Search engines rank individual web pages wherever and whenever possible. This means each of your web pages might rank well for a particular keyword given the assumption you’ve paid attention to SEO. Understanding that search engines rank individual web pages focused on keywords will help you avoid a common SEO blunder. Each of your providers should have their own “About” page, and here’s why. Keywords are pretty tricky to understand, but for our purposes are synonymous with topic or subject. Each or your articles must be focused around 1 (or possibly 2) keyword or topic. The topic of your article should be the keyword for which you want to rank. Best practices dictate that the keyword should appear in certain locations of your article: the title, subheaders and comprise no more than 2.5% of the total words of the page. This is the probably the best SEO plugin around. The free version is terrific and I have been using it for years after letting go of a paid optimization service. YOAST will walk you through the process of optimizing each of your articles so that you may maximize your opportunity for high rankings. Each of your providers should have a separate “About” page. Cramming all providers onto the same page gives you only one page to rank for the services your provide. If all your specialists are grouped on the same page, it becomes very difficult for that one page to rank any specialty. A single webpage can realistically rank well for only one or two keywords. By creating separate pages, you now have multiple opportunities to rank! May 4, 2017 by Randall Wong, M.D. Video is quickly becoming a preferred medium for the Internet. 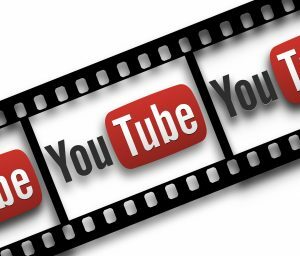 YouTube is the second largest search engine in the world. Google is the largest. YouTube is a search engine for video. Video has a lot of appeal. Let’s see why you should consider adding video to your website. Video requires different skills compared to the written article. Watching and listening to a video is easier and more practical than reading an article. Watching and listening is more easily accomplished when driving, riding a subway or etc. It is also easier to do on a larger variety of devices, i.e. it’s far easier to consume a video on a smartphone compared to reading a blogpost. Because video requires the use of different skills, it appeals to different types of learners – those who prefer watching and listening compared to just reading. This allows you to expand your reach and increase your followers by exposing yourself to a different pool of viewers. Video is much better for certain subjects than a typical written article. For instance, I upload many surgical videos to my YouTube channel (then embed them on my website). Surgery is much better appreciated visually. Effectively writing about surgery is very difficult and pales in comparison to the visual form. Visitors can see and hear you with video and is, therefore, much more engaging than a simple article. Video conveys more information about you as a person. You do NOT need to use professionals for your videos, in fact, I recommend using your own equipment and production tools. You probably already have everything you need to upload a video to YouTube. The content – what do you have to say? Transparency – what kind of person are you? Professionally produced videos take away from your transparency and make you less credible. These are two crucial elements to gaining a visitors trust. I will share some nice tips and tools in an upcoming post. March 16, 2017 by Randall Wong, M.D. When you are writing for your website, write as though one single person is sitting in front of you. That single person is your ideal patient and is also known as your patient persona. 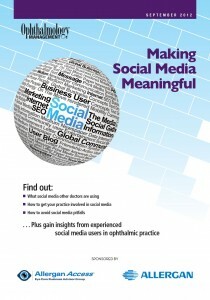 Physicians and healthcare are used to addressing a large audience. We give lectures. We teach. While it may seem counter-intuitive, when writing on the web, you will be more effective if writing to a single person. You are not writing as if you are on stage addressing a huge audience, but rather you are addressing one person, your “imaginary perfect patient,” who is sitting that audience. We all have our ideal patient. Your ideal patient is your patient persona and has a specific personality, manner of learning, education and concerns. Addressing that particular person when writing will make you more credible, authoritative and, most importantly, engaging. Your writing becomes more personal, and thus, becomes more valuable your reader. Close your eyes and pretend your perfect patient is sitting in front of you. By the way, this will be even more engaging if you write in the point of view of the first person. BTW – you will likely develop more patient personas as time goes on, but for now, start with one. You may already have your perfect patient in mind. If you do not, here are a few ways to help you get started. Survey or talk to your favorite patients and get to identify certain personality types, how they learn, what kinds of concerns they might have and what they like about you. This will help you relate to them. Talk to your office staff and ask the question, “Who is my perfect patient”? Getting an outsiders point of view will be very insightful. Look at analytics – you can see who is reading your articles and visiting your site. There may be data about demographics which can help you. How are your readers getting to your site? WebMD? 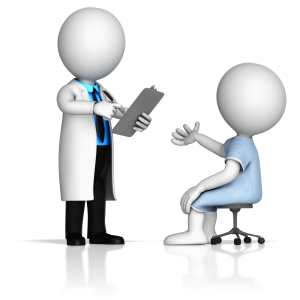 Just as you see patients one-on- one in the office, write to them one-on-one, too.